The 1795 Flowing Hair silver dollar represents the second year that dollar coins were officially produced in the United States. The year 1795 also represents a transitional period for the young silver dollars. In late 1795, the obverse of the silver dollar coin was changed from the Flowing Hair design to the Draped Bust design, for which the early American silver dollars would become much more widely known. This is especially true given the popularity of the rare, multi-million-dollar 1804 Draped Bust silver dollar. The 1795 Flowing Hair silver dollar is a scarce coin in the absolute sense but far more common than its 1794 dollar counterpart. For this reason, type set collectors who desire a Flowing Hair dollar will tend to focus on buying a 1795 issue because it is the more affordable option in most cases. Even still, an entry-level 1795 Flowing Hair silver dollar in Good-4 without any signs of a cleaning, holes, or other damage or post-Mint problems will easily set a coin collector back by more than $2,000. Prices vary based on each coin’s individual condition, but damaged 1795 Flowing Hair dollars tend to trade for more than $1,000. Individuals looking for nicer pieces grading Fin-12 or better should plan on spending $4,500 or more. A 1795 Flowing Hair silver dollar should be considered a scarce coin by any measure. Even through they were minted to the tune of 160,295 pieces, perhaps just 10,000 still survive, and most are in pretty bad shape. 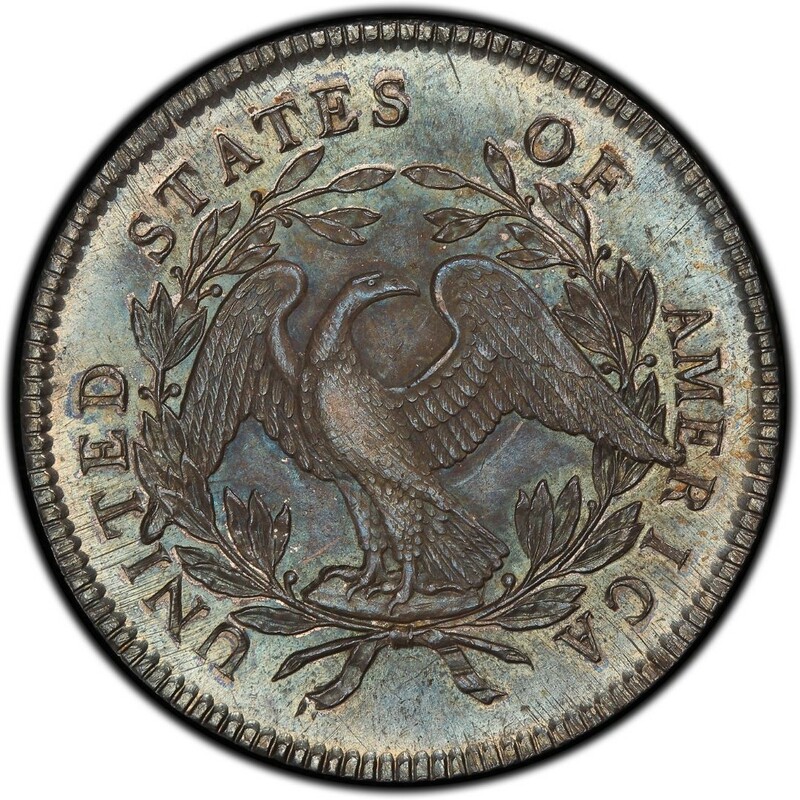 Advanced collectors of early American dollar coins recognize several minor varieties that are usually identified in books and other media that specialize strictly in cataloging these rare silver dollars. However, 1795 Flowing Hair dollar coins are generally categorized into one of three types, and they include the 1795 Flowing Hair Two Leaves dollar, 1795 Flowing Hair Three Leaves dollar, and 1795 Flowing Hair Silver Plug dollar. The number of leaves refers to a design variant identified by counting the number of leaves beneath each wing of the heraldic eagle on the silver dollar’s reverse. Meanwhile, the silver plug measures 8 millimeters in diameter and was added by the United States Mint. It was inserted to minutely adjust the weight of the silver planchets, which were handmade back in the day. 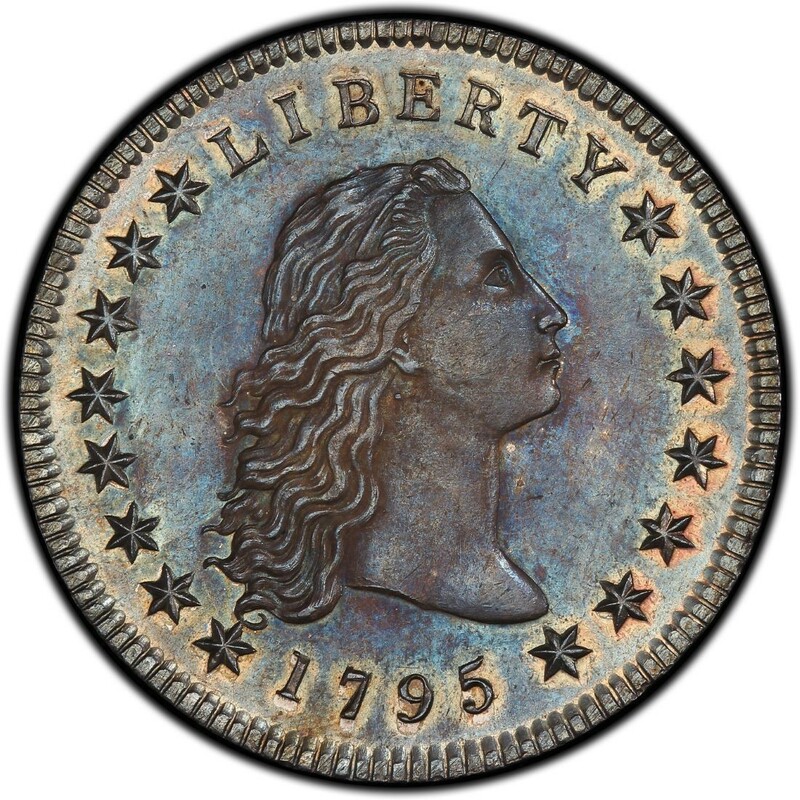 Production of the Flowing Hair dollar continued throughout much of 1795, but the type was replaced by the Draped Bust design in October of that year. Like the Flowing Hair design, the Draped Bust dollar motif was designed by Robert Scot. Several denominations in the mid 1790s shared either or both the Flowing Hair and Draped Bust designs, including half cents, large cents, half dimes, dimes, quarters, and half dollars.